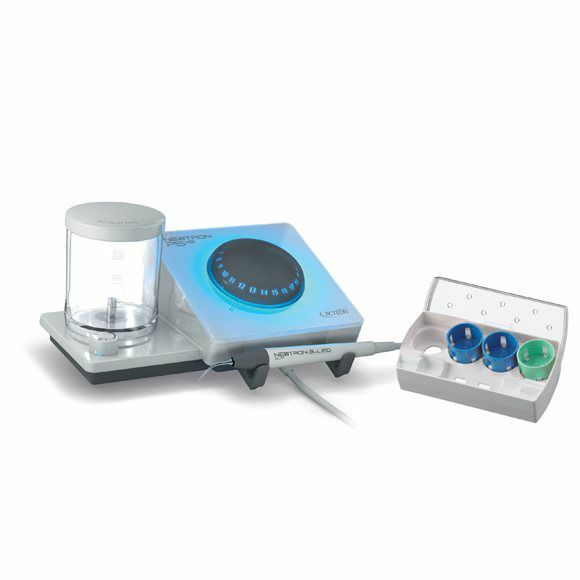 Piezo Ultrasonic Device with Tip Kit, Autoclavable B.LED Handpiece and Irrigation Tank. Part of the PURE NEWTRON range of redesigned ultrasonic devices by ACTEON featuring Cruise Control for the most powerful, smoothest performance available in ultrasonics. 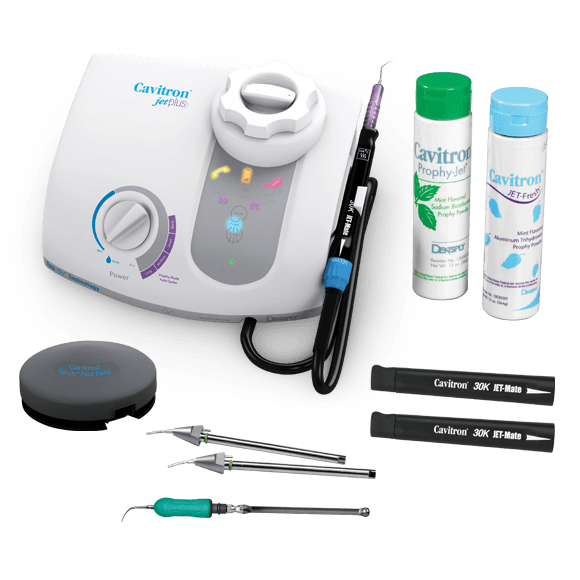 Includes the device, Newtron Slim B.LED Handpiece and Intro Kit. 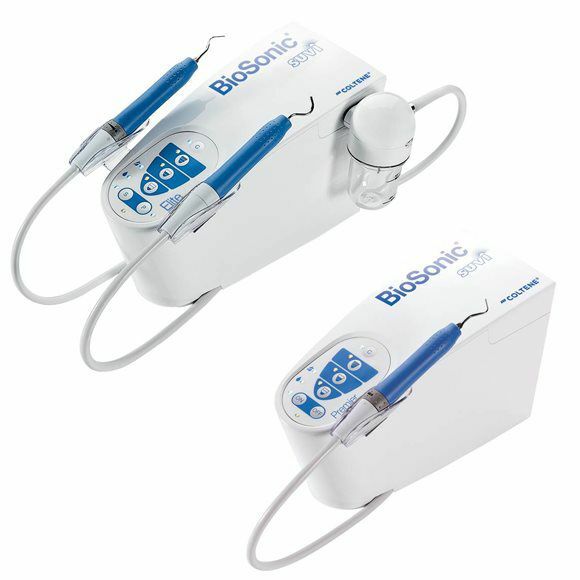 Piezo Ultrasonic Device with Autoclavable B.LED Handpiece and Irrigation Tank. Part of the PURE NEWTRON range of redesigned ultrasonic devices by ACTEON featuring Cruise Control for the most powerful, smoothest performance available in ultrasonics. 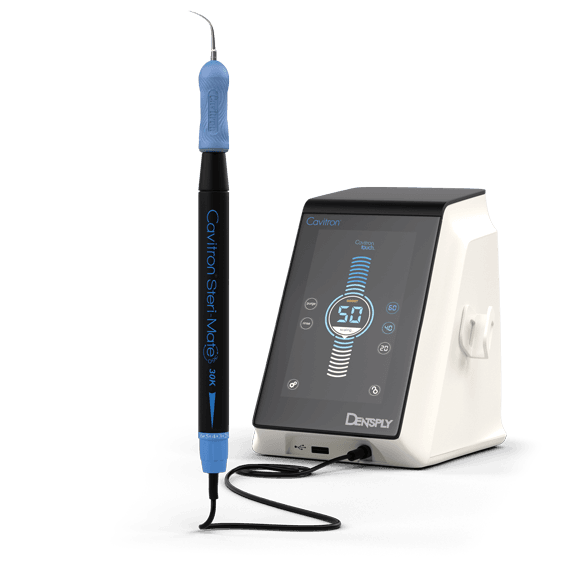 Includes the device and Newtron Slim B.LED Handpiece. 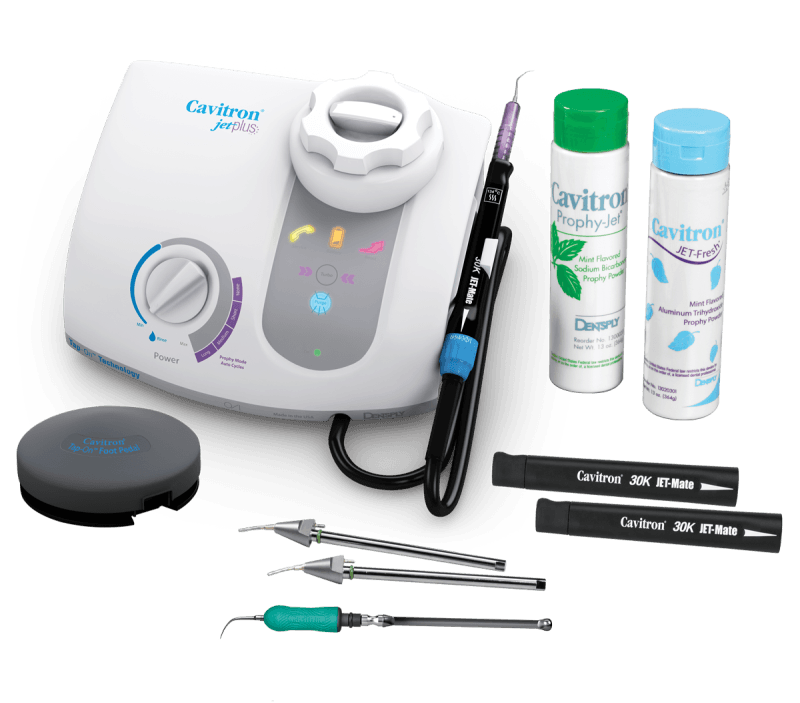 (1) Cavitron JET Plus Ultrasonic Scaler and Air Polishing System with Handpiece Cable with Swivel, (1) Tap-On Technology Wireless Foot Pedal, (1) JET-Mate Sterilizable, Detachable Handpiece, (2) JET Air Polishing Inserts, (1) 30K Focused Spray Slimline 10S Ultrasonic Insert, (1) 30K Focused Spray Slimline 1000 Ultrasonic Insert, (1) 30K Focused Spray PowerLine 1000 Ultrasonic Insert, (1) 30K THINsert Ultrasonic Insert, (1) Prophy-JET Sodium Bicarbonate Powder 13 Oz., (1) JET-Fresh Aluminum Trihydroxide Prophy Powder 13 Oz. Bottle (Na-free), Cavitron JET Plus Extended Warranty on Unit only, Instructional Video and Manual. Footswitch: Protection Class IPX1. Not for operating theatres. Suvi Premier is the ultimate tool for ultrasonic treatment. Due to its wide power range and a variety of tips, the scaler is remarkably adjustable for all treatments. Premier and the Air Polisher into one versatile appliance that can be used for a wide range of ultrasonic and polishing treatments. It is an ultimate and undisputed power tool for upgrading your working environment to a new level of quality. The Air Max air polisher, with its innovative and practical design, allows the dentist to work in optimal conditions of asepsis. The fully autoclavable ProphyPen handpiece has a titanium nozzle that mixes the water with air and powder. It is disconnectable and has a new design that avoids clogging. The transparent powder drum located on the side of the unit makes refilling easy and allows a perfect visual control of the filling level at all times. The Air Max is also fitted with a fully automatic cleaning function: a "chip blower" process starts with the press of a button and expels any powder remaining in the tubes. To ensure patient comfort is concerned, a built-in heating system provides tempered water. 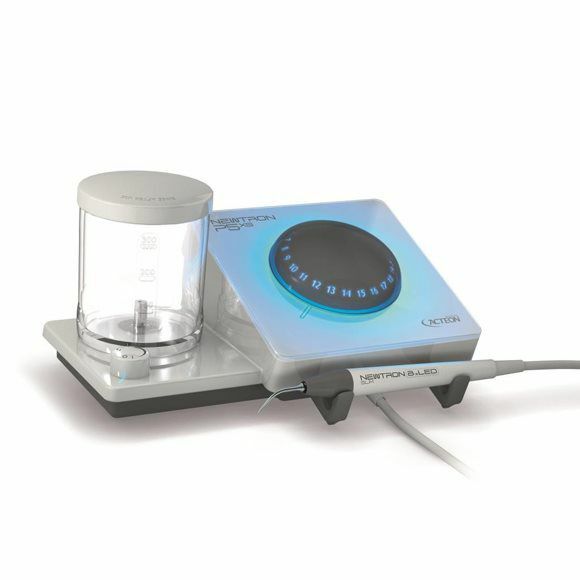 The first dual purpose air polisher that connects directly to the air turbine of virtually any dental chair. 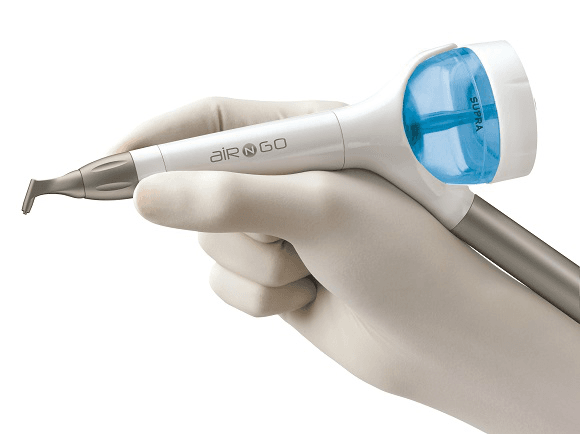 The Air-n-Go works as an effective supragingival air polisher for prophylaxis and perfect cosmetic results. With the addition of the optional Air-n-Go Perio Kit, which includes an ultra-fine Perio nozzle, a green Perio powder tank and Perio powder, the handpiece converts to a device capable of subgingival care of the tooth or the implant for in-depth bacterial removal. 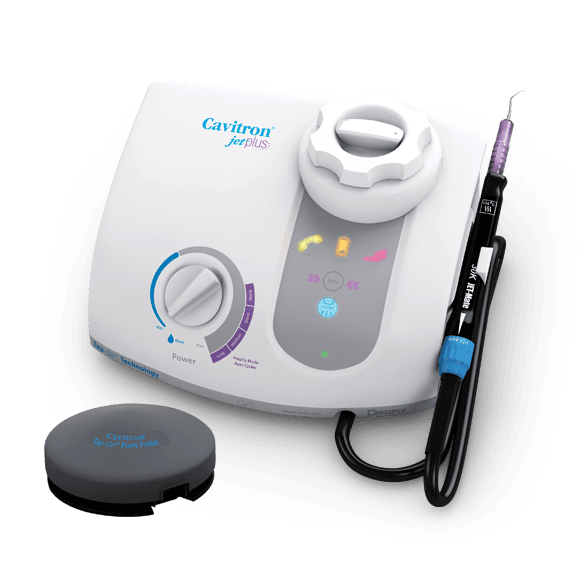 The Cavitron Touch™ Ultrasonic Scaling System is designed to be user friendly, while providing options for an improved scaling experience. Digital touch screen technology provides an easy to use interface. Smaller footprint to maximize available counter space. The wireless Tap-On™ Technology foot pedal is designed to reduce leg and ankle discomfort associated with continued foot pedal usage. Feel the Difference of Effortless Rotation - The Steri-Mate® 360° Handpiece offers features that provide a new scaling experience. 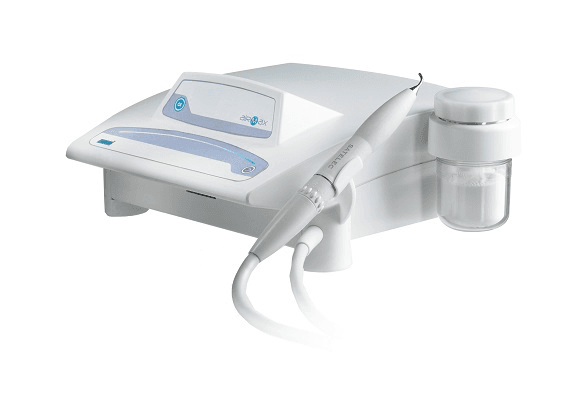 Fully rotating handpiece allows for flowing movement of an ultrasonic insert within the oral cavity. The detachable and autoclavable handpiece provides the highest assurance of control against cross-contamination. The Featherweight Handpiece cable is designed to provide ergonomic benefits by reducing cable drag. • Tap-On Technology is designed to reduce leg and ankle discomfort associated with continued foot pedal usage – A single tap activates scaling, allowing you to rest your foot during the procedure. • Prophy Mode auto cycles- short, medium, long - automatically alternate between air polish and rinse without a need to touch the foot pedal. • Additional power option include single-push turbo mode for up to 25% greater power and hands-free boost activation by pressing the pedal to the floor. • Extended Low Power Range, BlueZone, designed for improved patient comfort. • Nearly one-third of dental health professionals cite musculoskeletal disorders as the reason for early retirement. —Burke FJT et al. Br Dent J. • Tap-On Technology activates scaling or air polishing with a single tap of the foot pedal, allowing the foot to rest during the procedure. • Prophy mode auto cycles automatically alternate between air polish and rinse without the need to touch the pedal*. • Additional power options include single-push turbo mode for up to 25% greater power and hands-free boost activation by pressing the pedal to the floor. • Finer water control allows for precise and convenient adjustment of lavage on the handpiece to the preferred setting. • BlueZone for improved patient comfort. • Autoclavable handpiece provides assurance against cross-contamination. • Single-push rinse and purge modes.